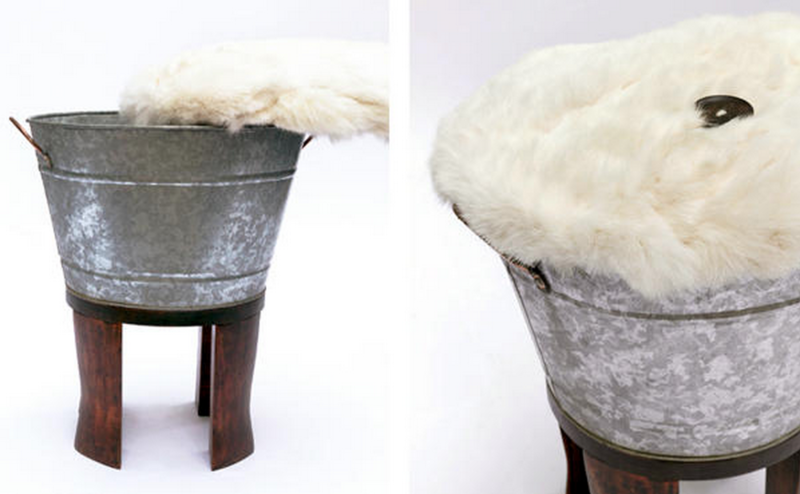 This bucket ottoman is made from a found galvanized metal bucket with copper handles, repurposed fur cushion top, and handmade, ‘fire-licked’ maple legs with reinforced bottom. A great statement piece perfect for sitting or as a foot stool. 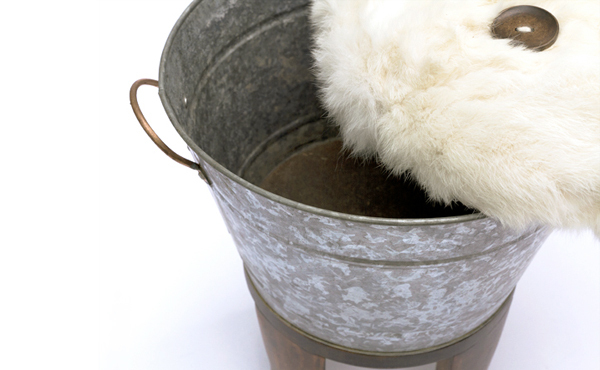 Lift the lid and use the bucket for storage.